Fantasy Art Poster: Another stunning image from the experts of the macabre Spiral. 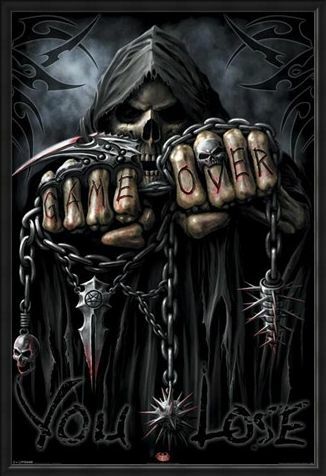 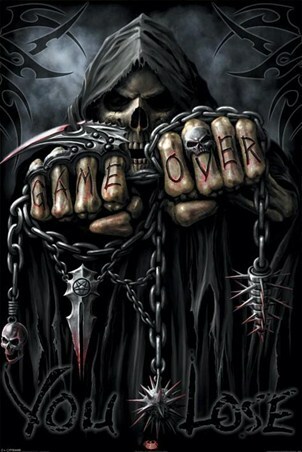 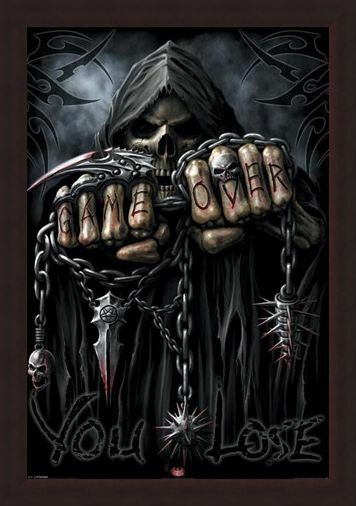 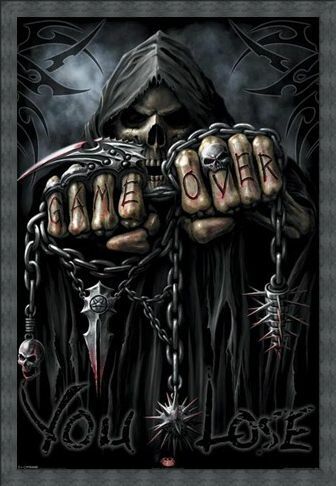 This one features a weapon wielding Grim Reaper with the words Game Over engraved onto the bones of his fingers. The personification of Death has been a part of human history for thousands of years, with the skeletal Grim Reaper becoming a popular image from the 15th century - although not normally quite this menacing! 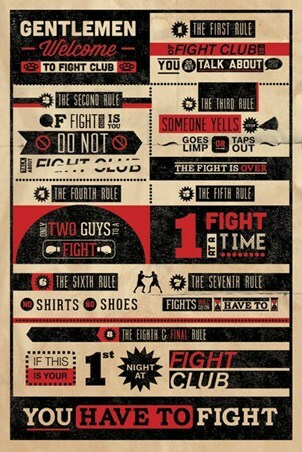 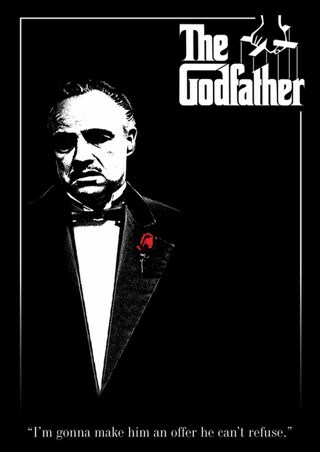 High quality, framed Game Over, You Lose poster with a bespoke frame by our custom framing service.